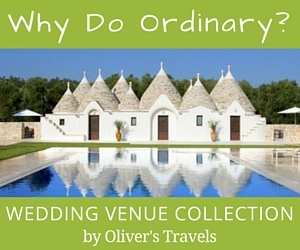 What the Press are Saying about Weddings Abroad Guide. 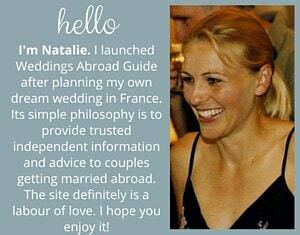 Another excellent site is www.weddings-abroad-guide.com, set up by Natalie Wingrove, who was disappointed with the lack of quality information available when she was preparing to get married in France in 2004. 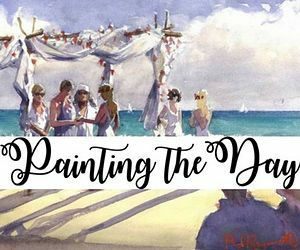 She has established an excellent resource and features many true-life wedding experiences which, let’s face it, is where the most valuable advice comes from. 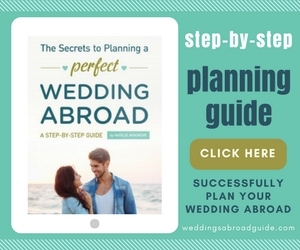 WEDDINGS Abroad Guide – www.weddings-abroad-guide.com — was officially launched as the only website to provide trusted, independent information and advice to couples planning their wedding abroad. 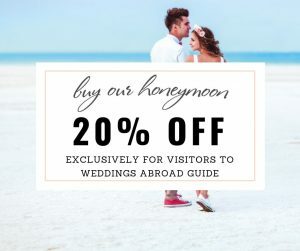 If you’re looking for some help with planning your wedding abroad, turn to new website, www.weddings-abroad-guide.com which provides useful information and guidance based on real-life experiences. It’s a one-stop shop for destination information, supplier contact details and tour operators and has an open forum for you to use as a really useful tool. 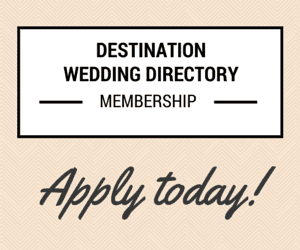 Visit www.weddings-abroad-guide.com and get planning. 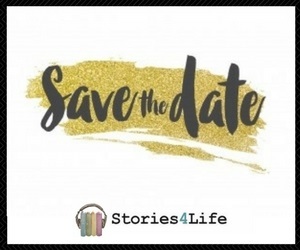 Real Life Inspiration – The French Connection Natalie & Simon said ‘I do’ in a stunning 13th century French Chateau. What Our Visitors are Saying. I have just recently got engaged and have always wanted to get married out side of Ireland. It’s a nightmare even trying to figure out where in the world to go! Im hoping it is going to be less stress than marrying at home, but when you start to look on the internet it seems to be very complicated! I just wanted to say how absolutely fantastic this website is, and is now the only one I am using! I am amazed at how helpful and useful it is and just want to say thank you! I have just found this site – it’s like my birthday – it’s fantastic – I think I’ll spend hours on it! 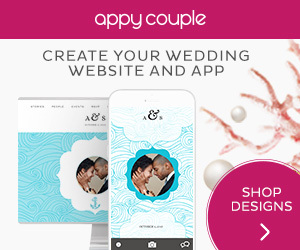 Congratulations on your website. It is lovely and useful! 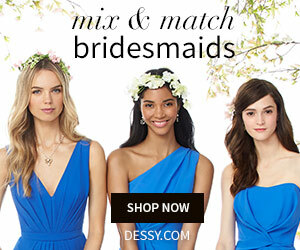 I have lots of questions, but your website has been most helpful. Your website was an EXCELLENT idea!! BRAVO! You have covered all the bases. I’ll be in touch and I hope I can contact you from time to time when I need advice from “someone who has been there”. Thanks again for the website. It’s a blessing! I just wanted to say how delighted I was to find this website. 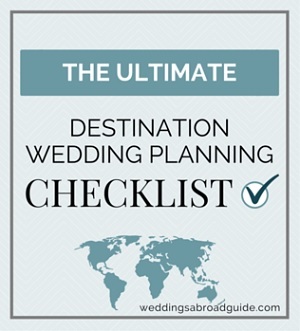 I found that most of the information in Irish bridal magazines and websites did not apply to getting married abroad and I was beginning to feel a bit lonely!